One of the more interesting elements of the recent rollout of Facebook Stories was the backlash, the pervading sentiment that Stories won't - and doesn't - work on Facebook. The basis for that perspective, in general, seems to be 'none of my friends are using it, so no one is'. So it's a failure. Put a fork in it, it's done. Similar sentiment has shadowed every one of Facebook's Snapchat clones to a degree - but the thing is, your perspective is limited to only one small part of the Facebook eco-system. Facebook Stories may well turn out to be a failure, but you can't necessarily make that assumption based off of what you and your friends think. I was reminded of this when looking at the latest data from Facebook Messenger - this week, Messenger has announced that it's now reached 1.2 billion monthly active users, adding 200 million more users in the last 8 months. Within this period, Messenger has added in a range of new tools, including, of course, the Snapchat-like Messenger Day, which, again, saw significant user criticism. Messenger Day was only rolled out to all users last month, so it's hard to make any definitive statements about its contribution (or not) to Messenger's ongoing growth, but Messenger Chief David Marcus has told TechCrunch that the option is off to a good start. "Usage with teens is much higher" than some might have expected, "which is cool" Marcus says. "We've built a product that teens use on Messenger!" It's very distributed. It's going reasonably well. The participation rate is very good compared to our best Stories product"
That 'best Stories' product is, of course, Instagram Stories, which, according to the most recent data, is used by 150 million Instagram users every day. Instagram, in total, now has more than 600 million monthly active users, which means the Stories participation rate is around 25%, which is the same amount of Snapchat users who upload content to their Story every day. Given this, the participation rate for Stories is only expected to be around 25%. If only one in every four people were using Messenger Day - or Facebook Stories - there's a good chance it could still be successful despite you not be seeing a heap of activity from your friends, especially if, as Marcus notes, most of those users are in younger brackets. 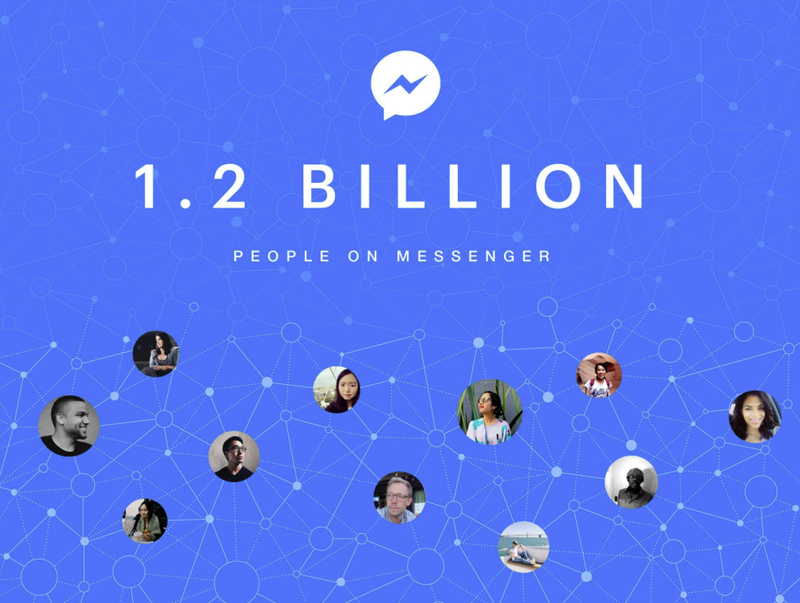 Going on the stats, the introduction of Messenger Day certainly hasn't hurt Messenger's growth. Maybe there's more to Facebook's Stories clones than simply beating Snapchat at their own game. 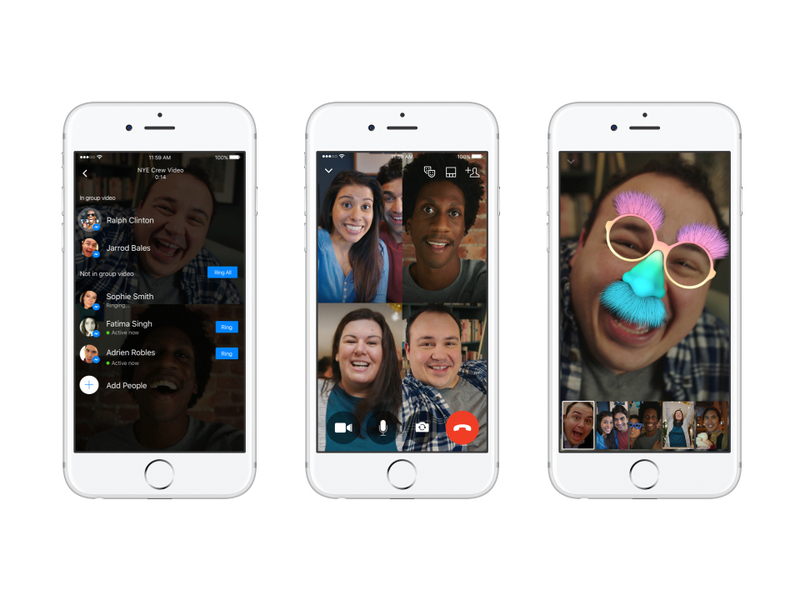 And this is only one of the Messenger's more recent additions - Marcus also notes that their group video calling option, launched last December, has also been well received among younger users, which is another, less discussed, clone effort from Facebook, this time taking cues from the fast growing Houseparty, which rushed to 1.2 million daily active users in November. These are all good signs for Messenger, though the app is still yet to realize its wider eCommerce potential, which was heralded by the arrival of their Messenger Bot platform, last year. Bots remain a key focus - they recently rolled out M Suggestions, which will provide connection to relevant tools and options within Messenger threads - while this week they've also launched a new Group Payments option, which could, eventually, play a part in their larger Messenger business efforts. Given the ongoing strength of Facebook's performance, adding 200 million new users in eight months may not seem like much, but it's worth noting that Twitter has struggled to add 14 million in a year, while Pinterest recently announced they've just reached 175 million users in total. And it is relevant that Messenger's seeing this growth while they're adding in new tools and functions, changing what the app can do and what it's used for - and cluttering the interface with all these additional options (including ads). To some this is a turn off, it's moving too far away from what they know and like. But the numbers show that the majority don't feel that way - even if they're not seeing huge take-up of every new element, the numbers suggest that people are at least open to doing more via the platform. That no doubt gives the Messenger team significant confidence moving forward.